Law couldn't do it. Sacrifices couldn't do it. Piety couldn't do it. Religious practices couldn't do it. 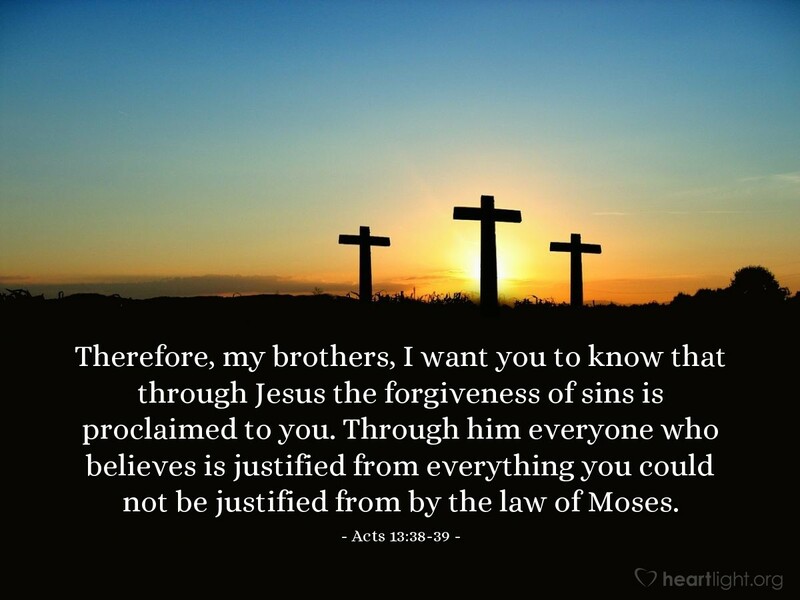 Only Jesus can bring full forgiveness of sins. Only Jesus can make us fully righteous and holy. Forgiveness and righteousness come through him. Holy and Righteous Father, God Almighty, I confess that your Son is my Savior and Lord, Jesus Christ. I thank you Jesus for being my Lord and paying the price for my sins. I ask, blessed Holy Spirit, that you help me fashion more of Jesus' character and compassion in my life. In Jesus' name I ask for this blessing. Amen.